Why Should Patients with Diabetes Take Aamla More Seriously? In the current times, one of the most commonly found disease practically in most of the homes is Diabetes. This is a condition where the blood has a lot more percentage of sugar than it should have. Hence, the body is not capable of responding to the amount of insulin as required. This is one condition which is not possible to be cured. However, it surely can be managed with lifestyle changes and eating a healthy diet. One needs to start doing physical activities and indulge in an active lifestyle. 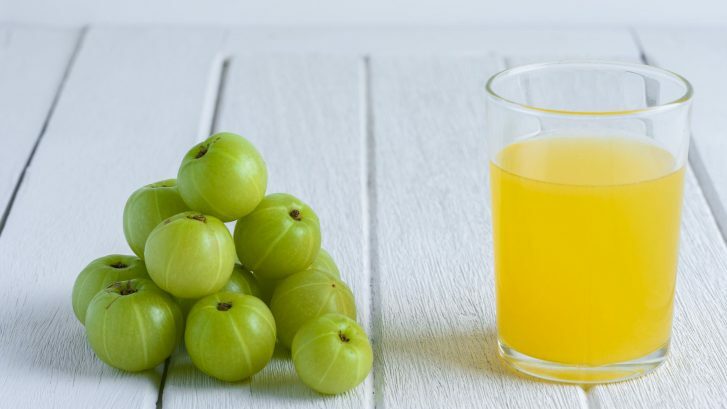 There are several health experts who have also stated that consuming Indian Gooseberry or Aamla has been effective in managing the sugar levels in the blood. Aamla is well known when it comes to boosting your immunity. It is also known to be quite a good remedy when it comes to curing diabetes. Aamla is known to possess anti-diabetic properties and is an effective home remedy. It works wonderfully when you include it in your everyday diet. Indian Gooseberry or Aamla has been for long known to be a traditional remedy when it comes to maintaining the blood sugar level steady. It also helps to prevent spikes post your meals. It has been prescribed by health experts in the form of tonic. Along with being a natural medicine for diabetes, it works wonderfully for your skin and hair. It possesses a bitter sour taste. The good part is; it can be consumed the way it is, fresh. As per the University of Maryland Medical Center, Aamla is a traditional remedy for averting health conditions like pancreatitis. Even insulin, that is generated in the pancreas works wonderfully to keep the level of blood sugar checked. But when the pancreas starts getting inflamed, it tends to cause pancreatitis which gradually starts to harm the cells that secretes insulin. This is where patients start to experience spike in their level of blood sugar. This is why, when the pancreatitis is in control, it will be able to manage the sugar levels in the blood. Again, chromium is present in Aamla. Chromium chiefly is a mineral which helps in regulating carbohydrate metabolism. It is also stated that it works towards making your body more responsive towards insulin. This will in turn be more fruitful when it comes to keeping the sugar level of the blood in check. If you were unaware of this fact, Aamla is filled with a good amount of Vitamin C. Vitamin C is quite an effective and powerful antioxidant. The Archives of Internal Medicine has a story published, that there is a link between Vitamin C and diabetes. It has also been suggested by the researchers that the chief reason for diabetes and related diseases is due to oxidative stress. But the presence of antioxidants in Aamla does in fact reverse the ill effects of oxidation. This way it does help you to get cured of diseases such as diabetes. Hence, to get the best of Aamlas effect, make sure that you consume it in its raw form, as fresh as it’s possible. Since the taste of Aamla is bitter sweet, you can gulp in some water immediately.